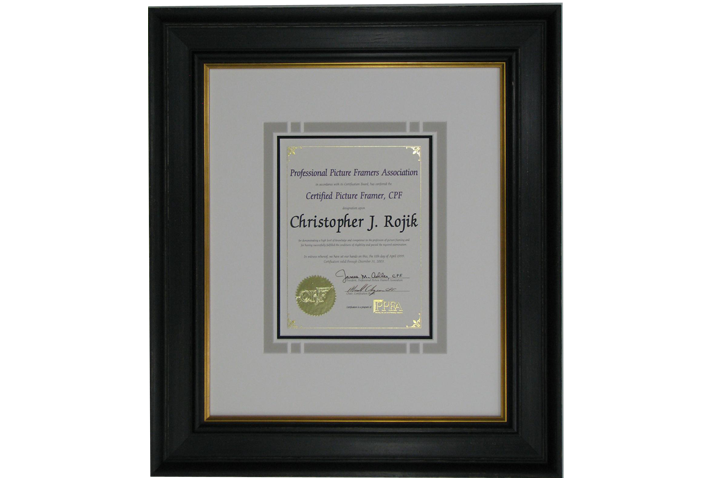 Frame Gallery Inc. offers a wide variety of framing designs for diplomas, awards, and certificates. 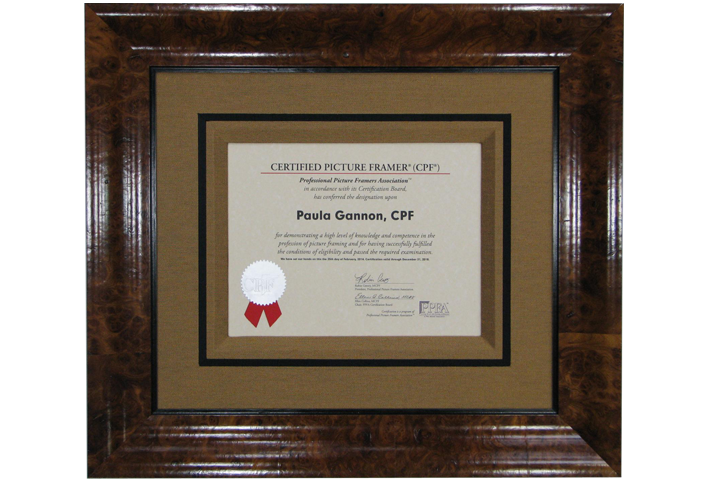 We can help you make the perfect selections for graduation diplomas, marriage certificates, bar mitzvah | bat mitzvah certificates, ketubots, military awards, and business recognitions. 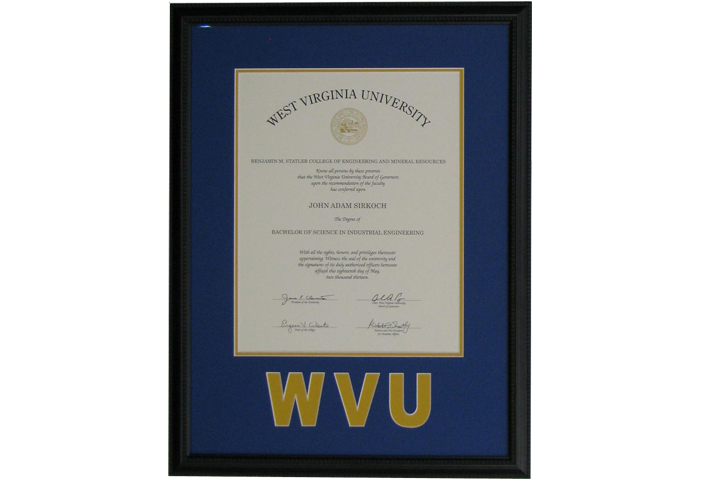 We use only conservation materials and preservation techniques with your important documents. 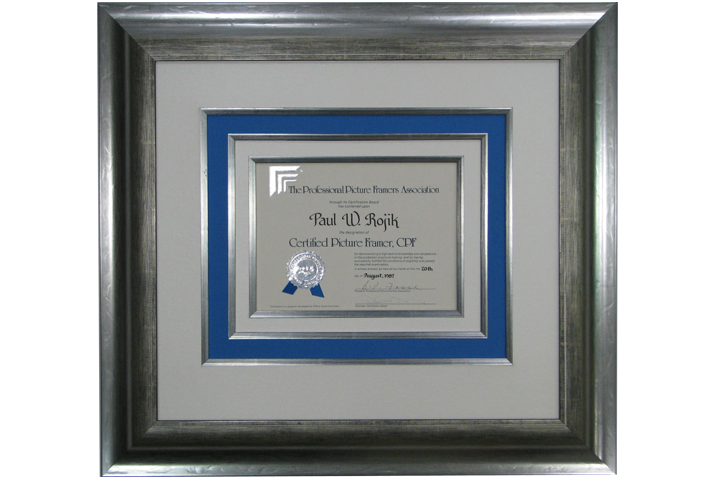 We look forward to helping you showcase your achievement.